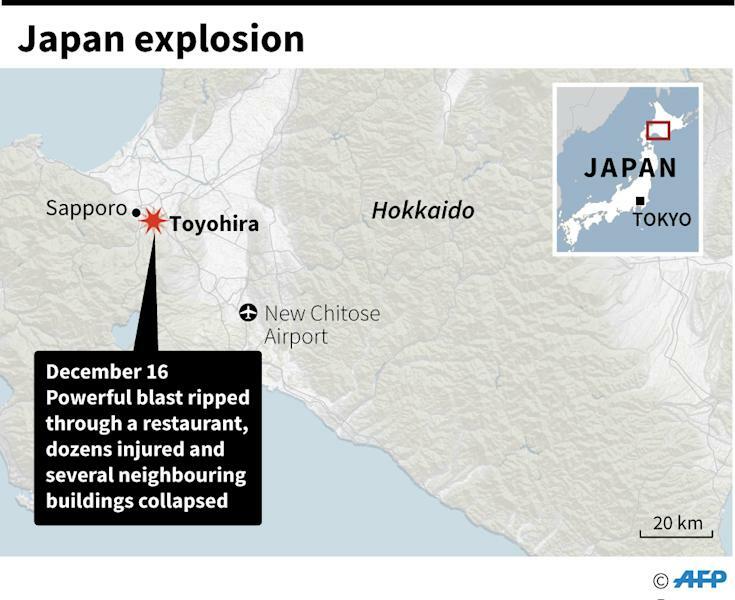 Tokyo (AFP) - Japanese police were investigating Monday the cause of a powerful blast that ripped through a restaurant in the country's north overnight, injuring 42 people and damaging surrounding buildings. 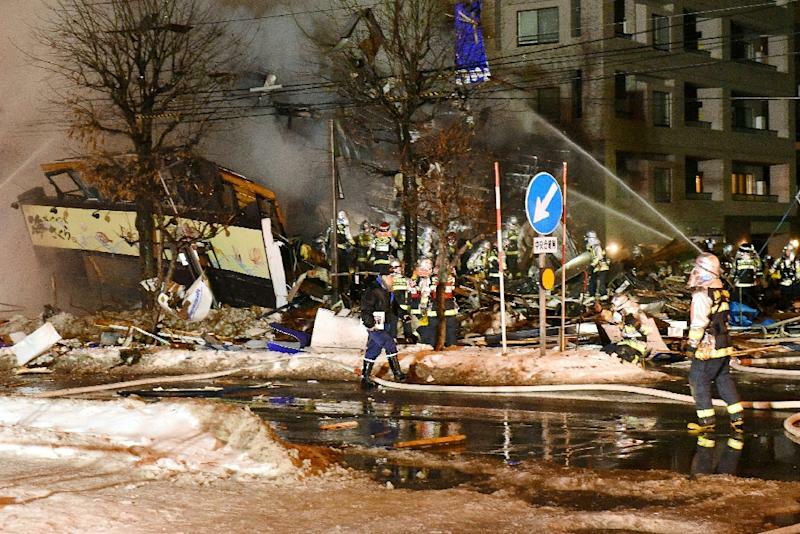 The explosion in the city of Sapporo on Sunday night started fires and caused the partial collapse of some neighbouring buildings, forcing dozens of residents into shelters, officials said. Some reports said fumes were leaking from spray cans that had been collected for disposal at a real estate company in the building. But investigators were also looking into at least nine propane tanks installed in the building for the various businesses located inside. Numerous customers at the restaurant on the building's first floor said they smelled gas at the time of the explosion, Kyodo News agency reported. The blast produced large flames and sent plumes of smoke rising in the night air, with witnesses describing a terrifying boom. The two-story wooden building, which also housed a clinic, was seriously damaged, a Sapporo fire department official told AFP. Police said 42 people had been injured, but there were no fatalities. Among the injured were several children, as well as a man who suffered burns and a woman who jumped from the building to escape, breaking her leg in the process. The fire from the blast spread to neighbouring buildings, and debris blasted out by the explosion shattered the windows of nearby apartments and restaurants, according to local reports. The blast happened around 8.30 pm (1130 GMT), and the city government opened a shelter to house dozens of people whose homes were damaged. The explosion also caused a temporary black-out, with 250 buildings losing electricity, but power was later restored, he said. The three tenants in the building were poorly prepared for possible fires, Sapporo fire department official Takashi Shida told AFP. "We instructed them to improve these points during an on-site inspection in October but they had not made progress," he said. Many small and medium-sized older buildings in Japan are built partly or entirely from wood and are vulnerable to fires. In February, 11 people were killed in Sapporo after a fire broke out at a home for elderly people with financial difficulties.